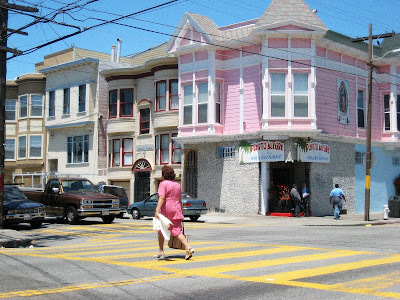 Another fifties-esque colorful shot from the Mission. This one's a couple of blocks from our house. Year 1 at Google completed, if you can imagine that. Happy vesting to me, happy vesting to me, happy vesting dear Isaac, happy vesting to me.